Service operates between DART Central Station and Merle Hay/Haymarket Mall, including Methodist Medical Center. Connections: Local Routes 3 and 60 at University Avenue. Local Route 16 at Hickman and MLK Parkway, Douglas and Beaver, and at Merle Hay/Haymarket Mall. Express Route 91 at Merle Hay Road. 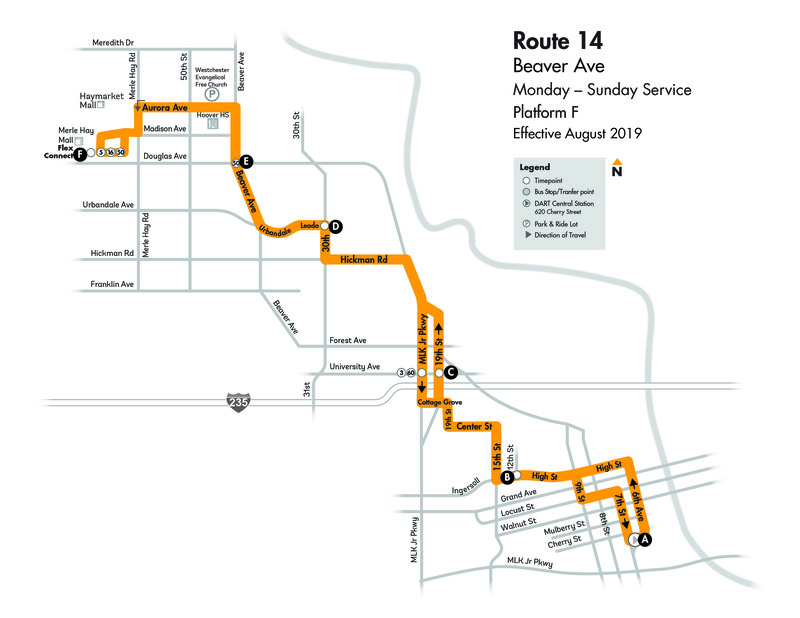 All Express Routes and the D-Line Shuttle on Grand Avenue and Locust Street in downtown Des Moines. All Local and Crosstown Routes at DART Central Station.